This card looks better in person, it is one of my other favorites of the group! 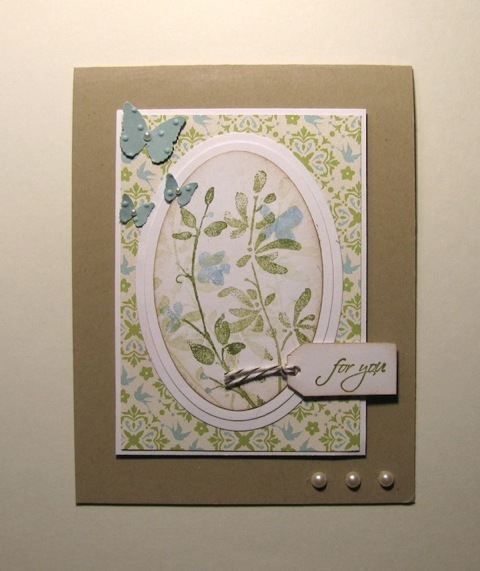 Baja breeze again along with old olive and a card base of crumb cake formerly known as kraft card stock. There are three layers of ovals for the image. 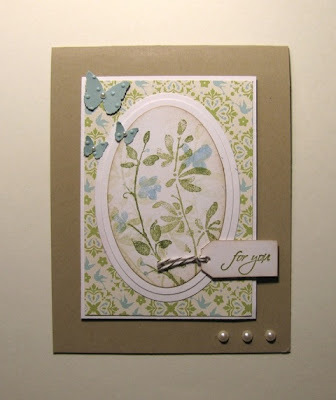 the designer paper is from a new set I just love called Everyday Enchantment. 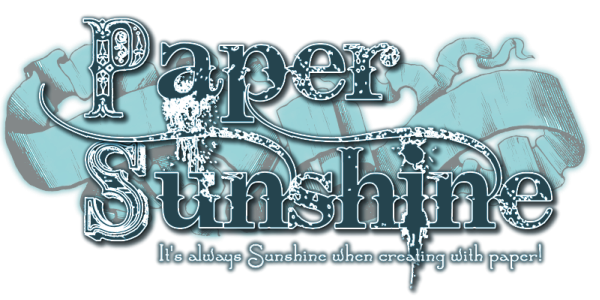 It has that grungy sort of look so I sponged the edges of the image panel and the tag with crumb cake to match. I think I will share the owl card next. You know how I feel about that owl punch!